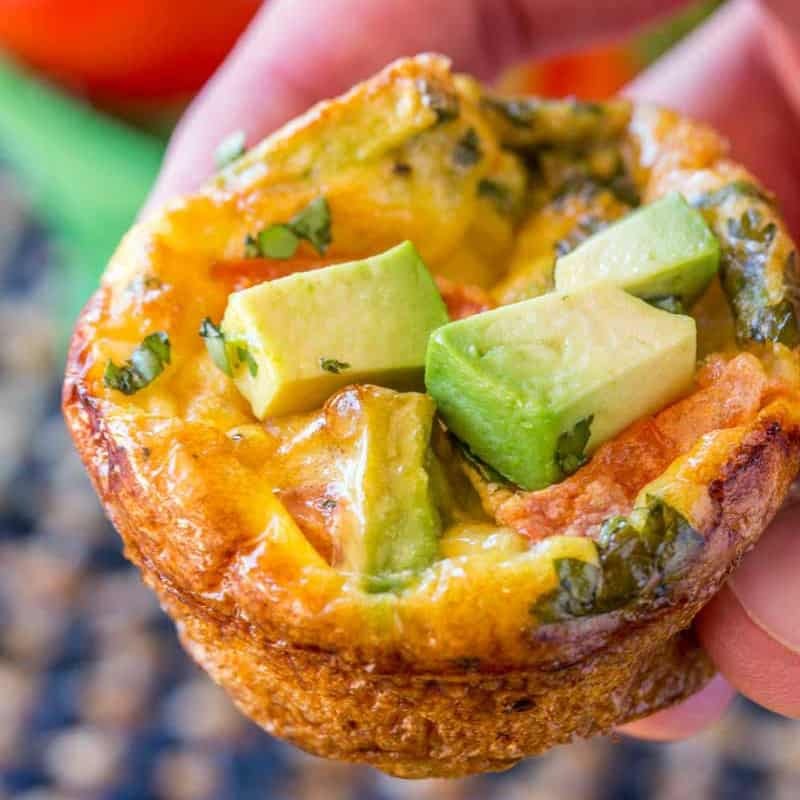 Southwestern Avocado Egg Muffins have all the delicious flavors of a southwestern omelet made in a muffin tin. 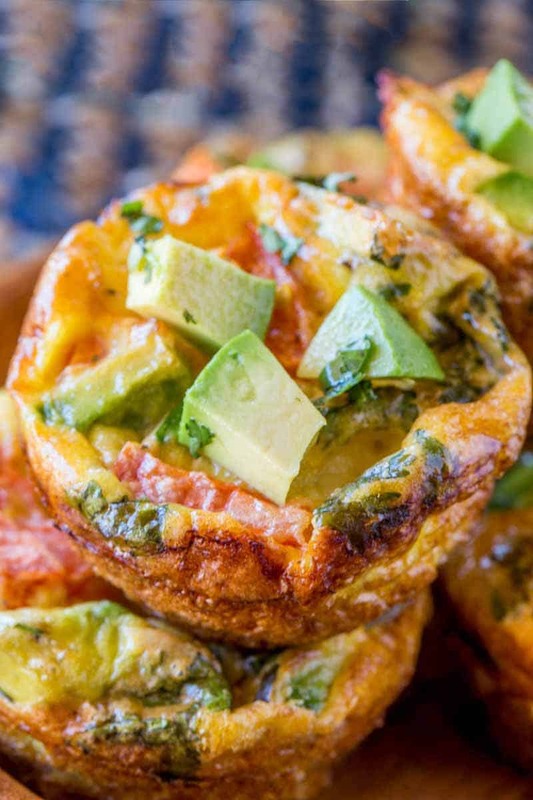 Southwestern Avocado Egg Muffins are so easy to make (and make for a crowd!) you’ll find yourself making these every weekend! 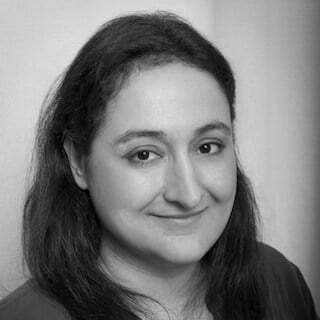 Hey everyone, it’s Sabrina from Dinner, then Dessert again. 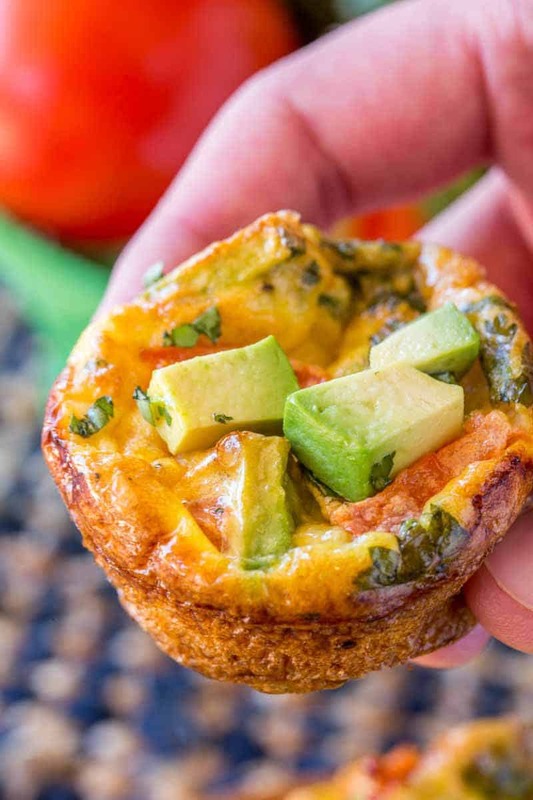 Today I’m sharing these awesome Southwestern Avocado Egg Muffins that taste like your favorite diner specialty omelet with almost none of the work. 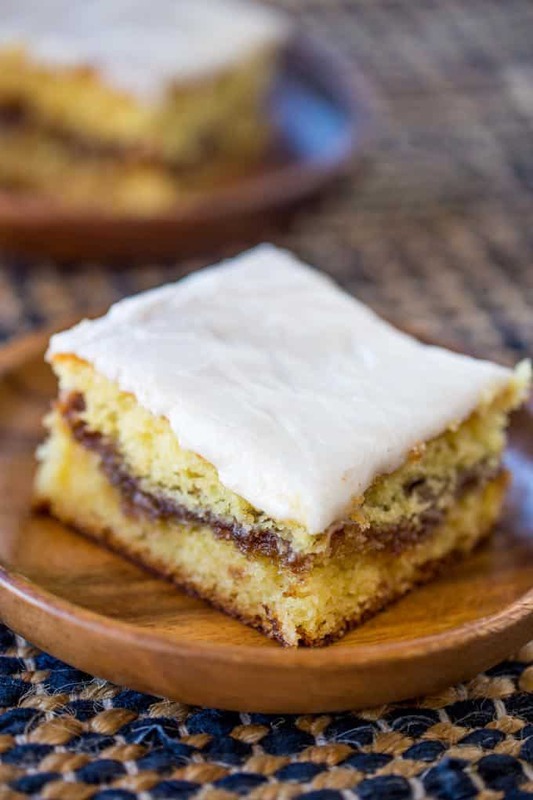 You can make these in giant batches (I own a dozen muffin tins from being a private chef) and bake three trays at a time. They’re great for crowd or you can cool them then add them to a freezer safe container for future breakfasts. P.S. 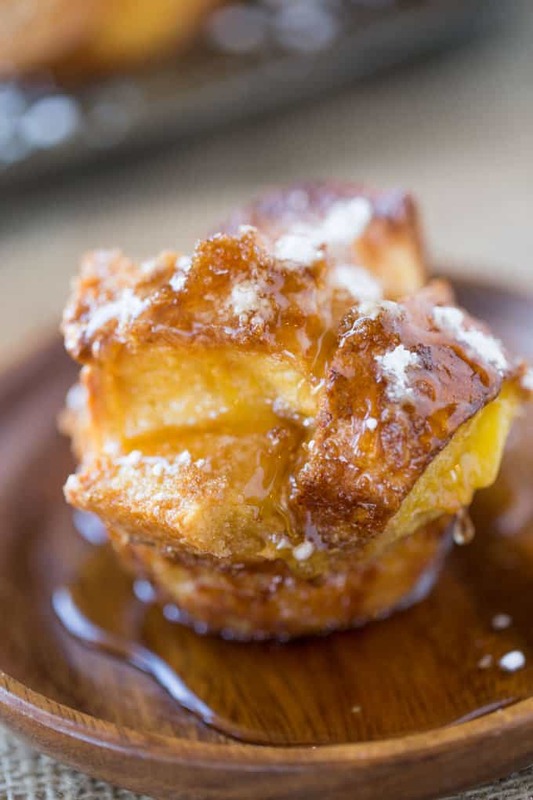 these are great inside a toasted English muffin for a quick breakfast. In a large measuring cup add the eggs, salt, black pepper, cumin, and cayenne pepper. 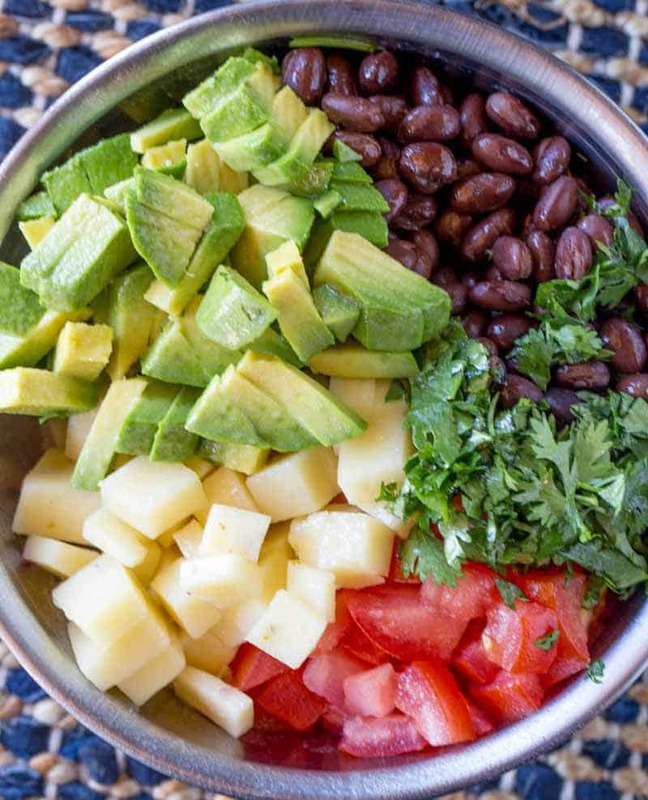 Add in a bit of black beans, cilantro, avocado, tomato and pepperjack cheese. Bake for 22-25 minutes. They will inflate a lot, but once you pull them out of the oven they will deflate. Garnish with more avocado. Serve warm or freeze. Made these this past weekend and I really enjoyed them. Only change was using Rotel instead of tomato (had an open can from dinner). Excellent recipe!!! Thanks for sharing! 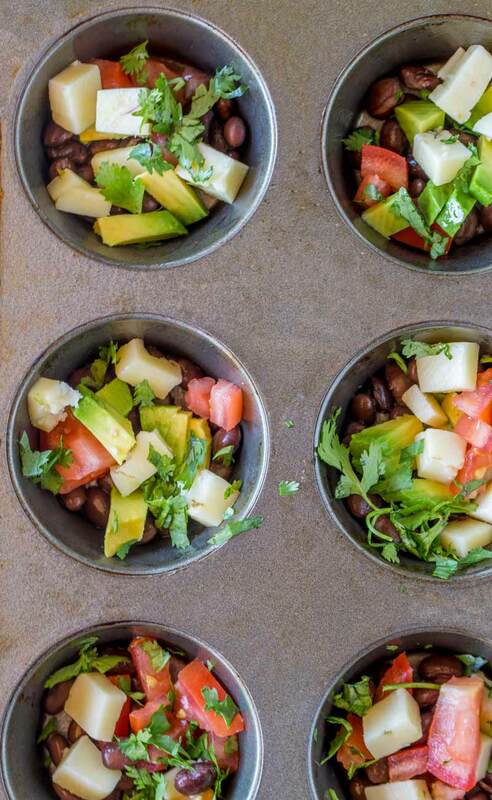 Can I use a mini muffin tin for this recipe? Thank you! OMG!!! These are fabulous! I didn’t have any fresh cilantro, used dried and it still works. I also topped it with a Guaca De Gallo that I purchased from Fresh Thyme and it tastes so fresh. 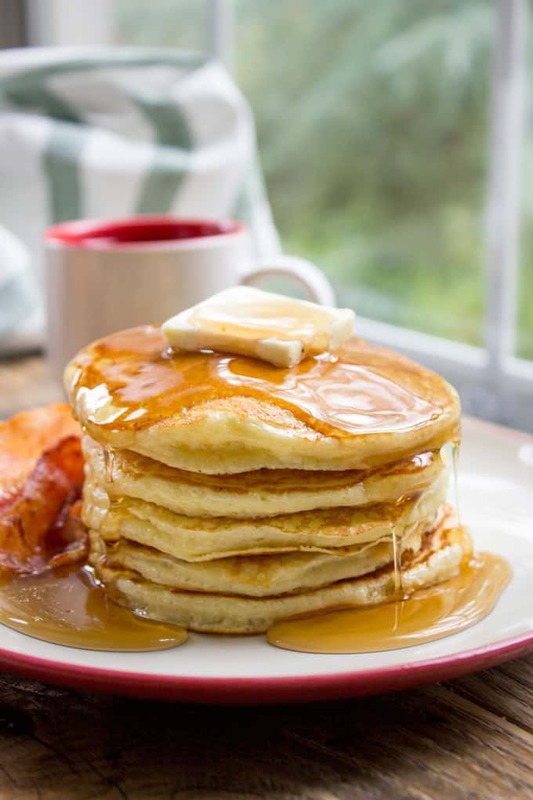 This is our new breakfast….